Want to learn Mandarin? You’re not alone. In the last decade the number of English speakers studying Mandarin has skyrocketed as China grows in prominence, and as Singapore, Hong Kong, and Taiwan claim their rightful places on the global stage. 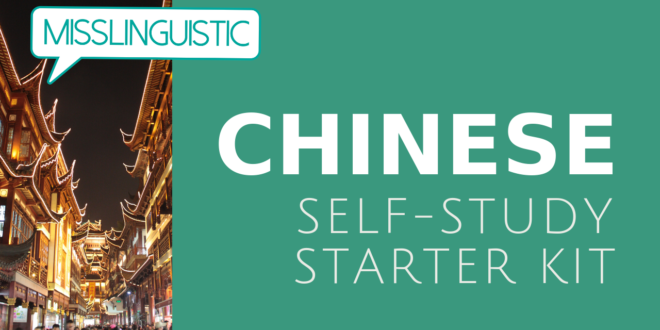 Here’s your free starter kit, everything you’ll need to fall in love with the Chinese language: some online resources which I have found to be particularly helpful. Note: to learn to write Chinese, you’ll need to learn two different writing systems. I know, right? But trust me, the first system, Pinyin (Romanized Chinese) is going to save your life. Chinese characters take commitment. I recommend taking the time to solidify the basics of stroke order, not because that’s the way you’re “supposed” to do it, but because if you get in the habit of writing characters the same way every time, you’ll learn to write by muscle memory, the way the Chinese do. To learn to read Chinese, you’ll start with Pinyin (the accepted romanization system of Chinese) which luckily is GREAT. It has no exceptions and no irregularities. Given, it is not exactly the same as English, but it uses the Roman alphabet so that it easier for us to use. Pinyin will help you know how each word is pronounced. However, you’ll still have to learn a Chinese character for each word in order to know how to read and write it. So yes, to learn Chinese, you’re pretty much learning two separate writing system (in the eyes of a westerner). Skritter – Note, current downloadable version is not up-to-date with current iOS. There is a link here that lets you download an old version. Not everyone likes to learn Chinese from a textbook, and you certainly don’t need to, but they can be a convenient way to structure your learning. If you want to practice Chinese, here are some places you can go to find a partner! Chinese dramas are here for you! Here are some of my favorites. But you might also want to try Taiwan (just be aware that you’ll be studying Traditional Characters). There are many programs to study Chinese in Taiwan, but I haven’t tried any of them myself. Can anyone recommend one? This post includes affiliate links, but I’ve only included products that I’ve tried myself and stand behind. Have any more suggestions? Please leave them in the comments! I’ll update this post as much as I can as I find new resources! I was just thinking yesterday about how I really want to learn Mandarin next year! Thanks for the great info. Buy Viagra Overnight Delivery I recommend this site USA.